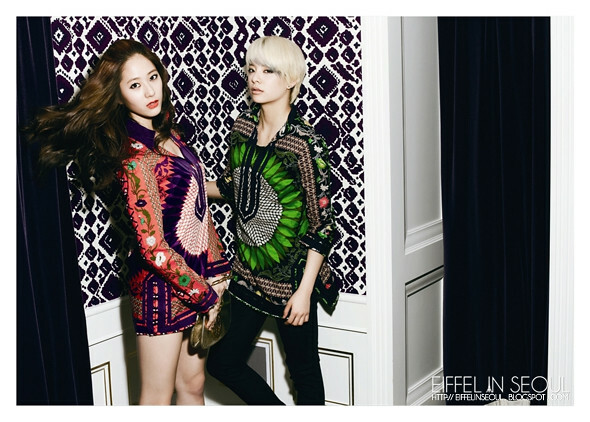 Having released their latest mini-album, Pinnochio, the members of f(x) models in Tory Burch Spring/Summmer 2011 collection in the latest issue of High Cut magazine. Photographed by Park Ji Hyuk at Tory Burch flagship store in Chungdam-dong, check out the editorial and additional outtakes! What a stunning editorial! Absolutely love the set, which is Tory Burch flagship store. The bright orange made the photographs look stunning. 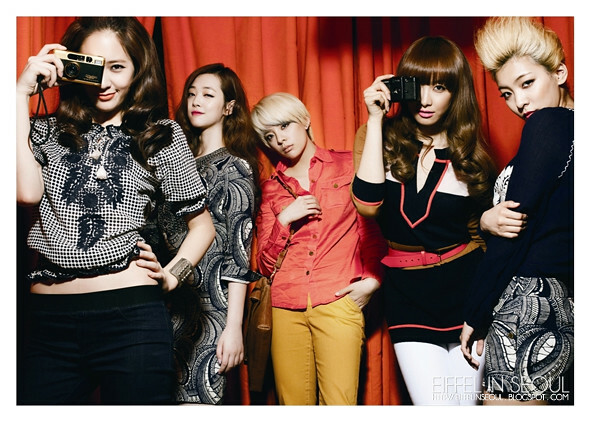 The girls definitely did well in the shoot, especially Krystal in the shot with the camera. If I am in Canon, Nikon or whichever digital camera company, looking for someone to advertise for me, I would pick her. Victoria and Amber were both disappointing, they blend into the wallpaper. i agree with the krystal comment. almost every shot with her, she looks the best as a 'model'. Agree with you about the Krystal comment. She captured this concept really well, and I also like Sulli except for a couple of shots. This cold elegance image suits both of them pretty well, hopefully they can show that they are versatile in other concepts too.